Don’t say Intel never gave you nuthin’ for free. Although this news flew well under the radar when the company’s 7th-gen Kaby Lake desktop CPUs were launched last Tuesday at CES, Intel’s newest budget Pentium CPUs have received a performance buff with Hyper-Threading. 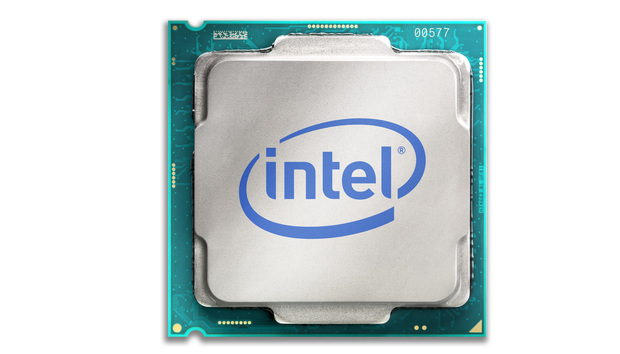 The Pentium G4600, Pentium G4620, and Pentium G4560, as well as their power-saving “T” versions, all feature Intel’s Hyper-Threading, which delegates unused portions of the CPU for other tasks (you can see the chips here on Intel’s ARK site.) While it doesn’t quite turn these dual-core CPUs into quad-cores, there is a real-world performance boost on most multi-threaded loads. Hyper-Threading was introduced with the Pentium 4 in 2000 and has been a standard feature of Intel’s higher-end processors since then. The budget Pentium series, however, hasn’t had the feature until now. Besides the support for Hyper-Threading, the new Kaby Lake budget chips also support Ultra HD 4K resolution and are capable of playing back 10-bit content easily. That can’t be done on Skylake, Haswell, or Ivy Bridge’s integrated graphics. One issue for Intel, Krewell noted, is the lack of air between its pricier Core i3 CPUs and Pentiums. For example, the dual-core 3.9GHz Core i3-7100 costs $117 in volume and has Hyper-Threading and HD 630 graphics. The dual-core 3.7GHz Pentium G4620 costs $86 to $93, has Hyper-Threading and HD 630 graphics. For that roughly 25-percent increase in price, all the customer gets is about a 5-percent performance boost. Not all are as close, though. Some Core i3 chips have larger caches and much higher clock speeds. Intel also recently unveiled an unlocked “K” CPU with very high overclocking capability. Why this matters: Company officials didn’t tell PCWorld why they decided to make the change, but the move gives Intel’s sub-$100 fare a performance edge compared to previous Pentium chips. Kevin Krewell, a chip analyst with Tirias Research, said the move could signal Intel's desire to offer budget shoppers an incentive to upgrade.